Born in Philadelphia, Michael Fajans was the son of a teacher and labor organizer who moved his family to New York when Fajans was a teenager. An early manifestation of his adventurousness was his participation with the American Jewish Society for Service in a summer program at the Pine Ridge Reservation of the Oglala Sioux in South Dakota. In New York, he attended Bayside High School and was drawn to performance events throughout the city. In 1964 he became involved in the theater programs of the Henry Street Settlement where, to the surprise and consternation of his family, he successfully participated as an actor in experimental theater performances that initiated a lifelong interest in theater production and the staging of art events. 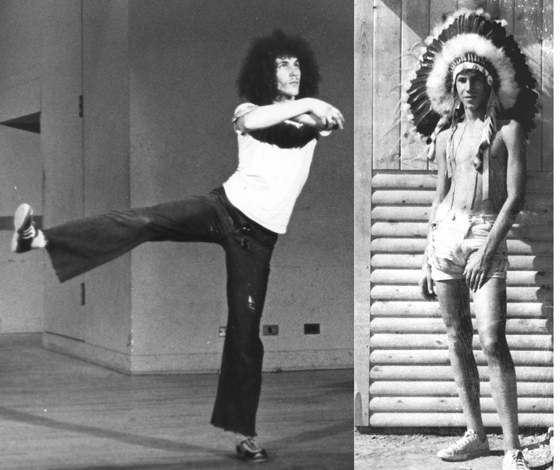 Michael Fajans and other dancers, proofs below.